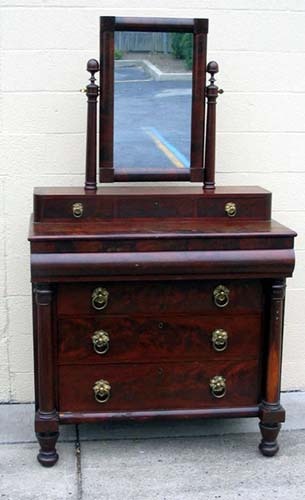 An Important & rare 19th Century classical mahogany dresser bearing the early & rare label of Meeks and Sons Manufacturers 15 & 45 Broad Street, New York. 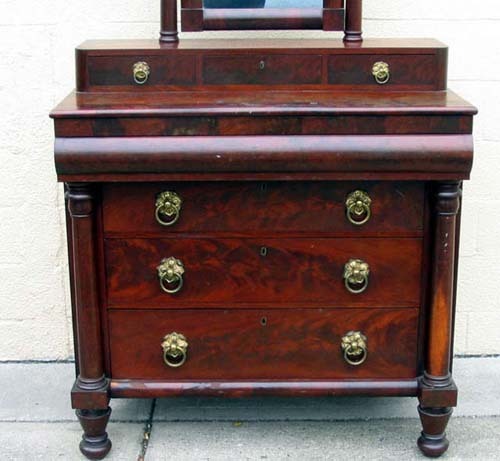 The piece is in absolutely original condition maintaining its original finish with very minor veneer damage. 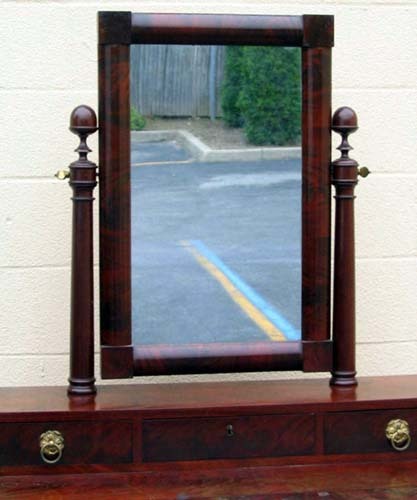 Mirror and hardware are all original. 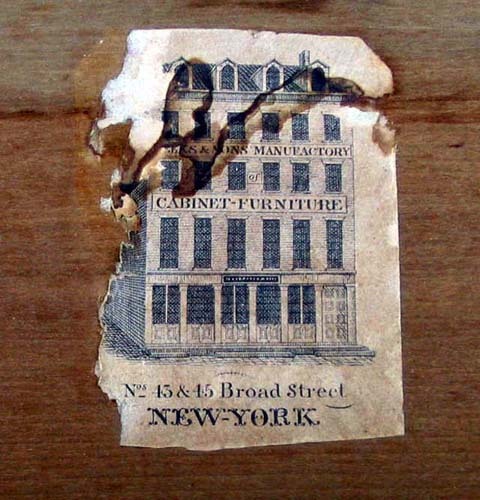 This paper label predates the later J&JW Meeks label, which was their most productive era.